With the volcanoes of the Andes and the barren Atacama Desert, Chile probably offers the wildest landscapes in Latin America. 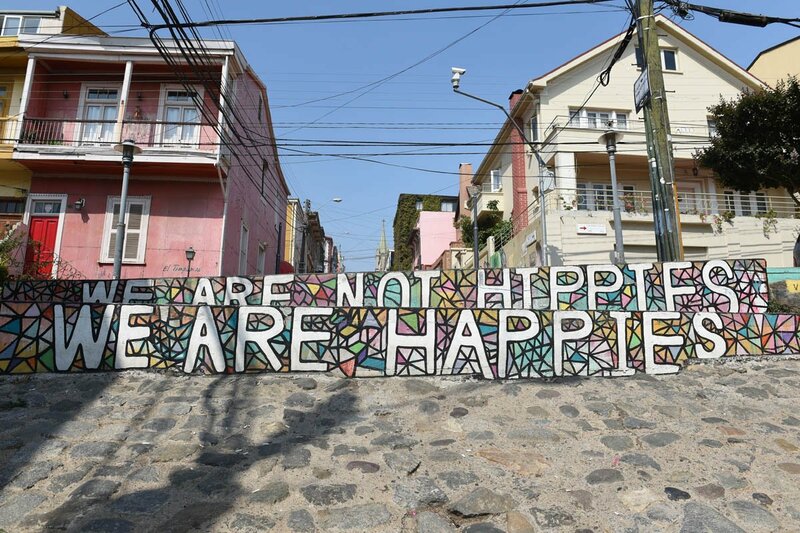 Exciting destinations are also the metropolis Santiago de Chile and just around the corner Valparaíso, a rainbow-coloured paradise for artists and hipsters. With the volcanoes of the Andes and the barren Atacama Desert, Chile probably offers the wildest landscapes in Latin America. Exciting destinations are also the metropolis Santiago de Chile and just around the corner Valparaíso, a rainbow-colored paradise for artists and hipsters. Between mountains and the sea you meet superstars at the stove and the sympathetic actors of a nice gay scene. There are dreams that will come true one day. But there are also things that one has to experience only to be able to dream of them for a long time to come. Just like now and here, this sunrise in the middle of the solitude of the Andes, near the town of San Pedro de Atacama in the north of Chile. Timidly the sun sends its first rays over the black sand. It warms our faces, gilds the occasionally growing tufts of grass and also illuminates the vast expanse of the deserted landscape. Now you can see a majestically beautiful painting in the making, of crystal clear, pure colours: above, the ultramarine blue of the sky, below it an all-reflecting salt lake, at the horizon the snow-covered peaks of the mountains with their shiny sugar-coated spikes. 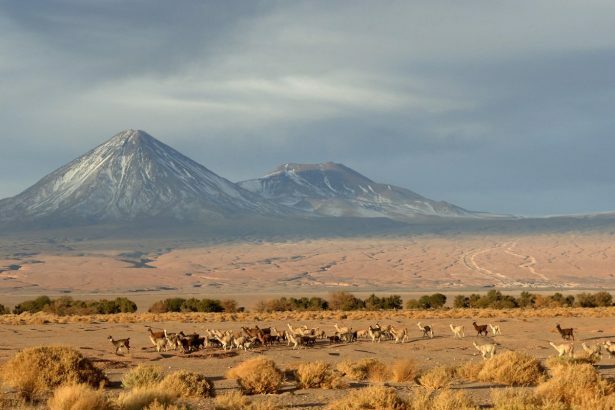 Lácar, Licancabur and Llullaillaco are the names of the long-extinct volcanoes in the distance. Their names sound like ancient incantations of the Incas who once ascended to the highest hights to sacrifice to the wrathful gods and to cheer them up. The also climbed up the Miscanti, “only” 5,622 meters high and thus only a ‘dwarf’ compared to his cousins ​​of the Andean chain of mountains. But this mountain is accessible on a gravel road and one of those photo opportunities, that makes the ones at home pretty envious. We want to carry on, to spitting geysers and lagoons full of flamingos but stop from time to time: you should always spare a few minutes to admire the Andes. The SUV engine stops, doors close with a dull pop, joints crack, dry earth grates. Then only the sound of the wind blowing. The visitors are muted by amazement and because breathing air is precious at an altitude of more than 4,000 meters. And because in the face of this panorama the words are missing anyway. The Andes are a geological exclamation point: The longest mountain range in the world runs 7,500 kilometers runs from north to south of South Amercia. In the west of the mountains is the Atacama Desert, with the “Valley of the Moon” and ghost towns from the time of saltpetre production. On the other side of the mountains, Argentina and especially its capital, Buenos Aires, attracts visitors from all over the world with its spectacular nightlife. But Santiago de Chile has caught up in recent years. The flight from Calama in the Atacama Desert to the urban jungle lasts two hours. 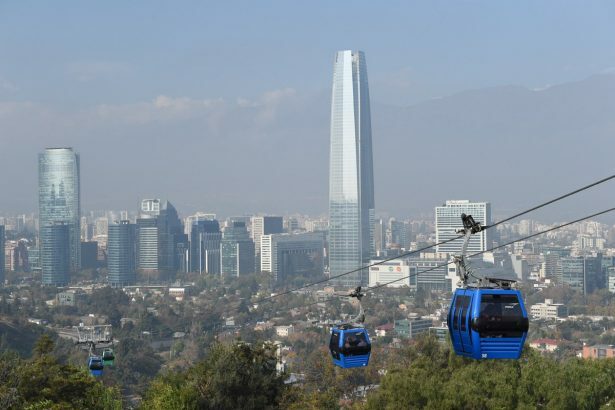 The Chilean capital is located at the foot of the Andes, which provides great views of the hill Cerro San Cristóbal, but often also for thick air that jams on the slopes. 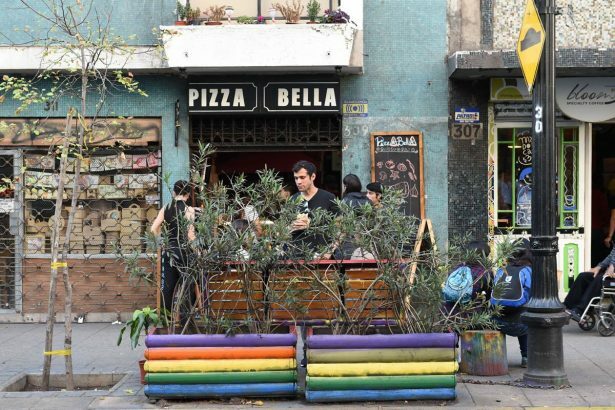 At the foot of the Cerro, in the pulsating rainbow neighborhood of Bellavista, around the calle Bombero Núñez, the gay meeting places line up. There is the Restobar station and the 105 bar, good for snacks and drinks. For drag shows you go to Dionisio or Farinelli – and do not even have to speak Spanish well. Continue to celebrate in the clubs Burdel and Instinto. Events often rise in the discos Bunker and Femme or outside the city in the Divino. If that’s too young for you, just pop around the corner in the Fausto Bar, which has been around since 1979 and looks like a gentlemen’s club with its wood panelling. The audience is older – and yet not quieter, especially when the DJ plays the music of the 80s. 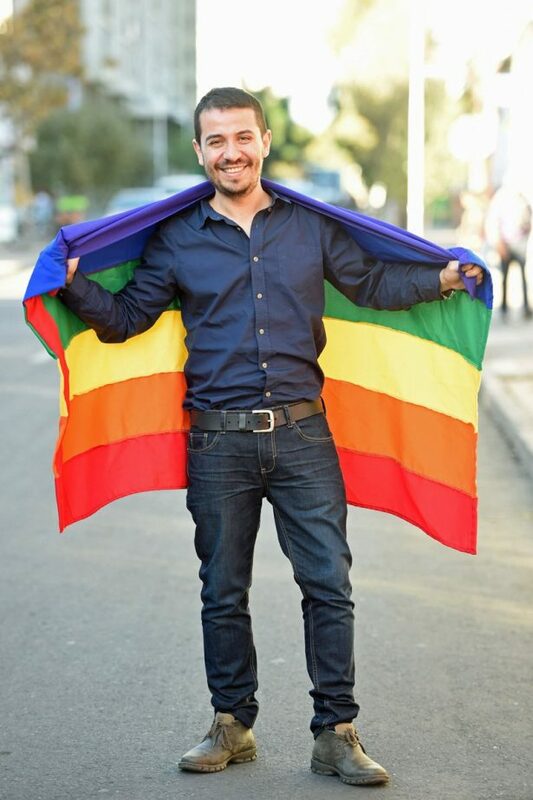 “Anyone who thinks that the majority of Chileans are very Catholic and very conservative is wrong,” says Alberto Roa of LGBTI Movilh. The image of the country dates back to the time of the dictatorship of the homophobic General Augusto Pinochet, who ruled the country from 1973 to 1990. “We founded Movilh after returning to democracy. Meanwhile, the Chileans are even more open than the Brazilians and often show moral courage, “says Alberto Roa proudly. In terms of gay rights, Chile’s governments lagged long behind other states on the South American continent. But here is now too an anti-discrimination clause and a kind of registered civil partnership. In June, President Michelle Bachelet announced a push for homosexual marriage. And Movilh now organizes not only the big Pride in June, a queer cinema festival in October and in November to the electric festival Open Mind Fest a colourful parade. Alberto Roa and his team now even work for the state. In a picture book that they have developed to sensitise preschoolers, little Nicolas has not one but two fathers. 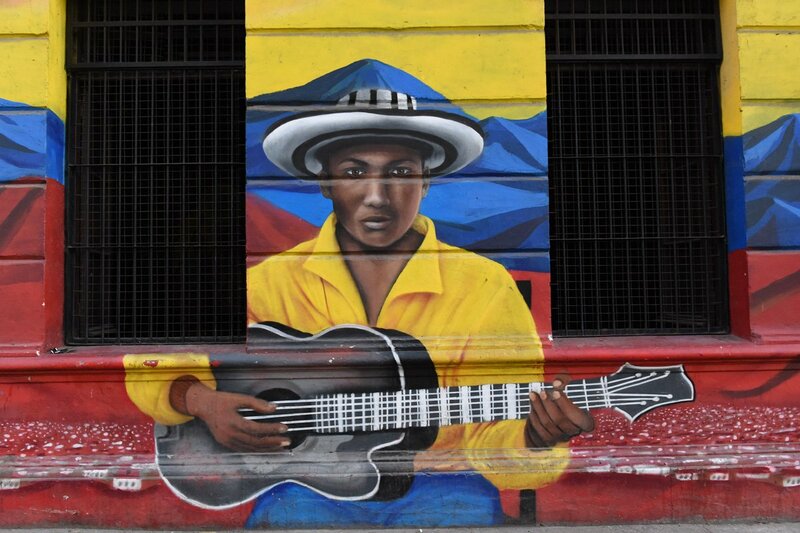 If you stroll through the streets of Santiago, you will witness another small revolution. Tomatoes, potatoes, chillies, cocoa, corn: Without those foods that Columbus and his successors in South America discovered for the rest of the world, there would not be many dishes in the world’s kitchens – neither the “typical” sauces of Italy nor the spicy ones Soups of Thailand. Now the continent is changing the culinary world a second time: South America’s chefs are the new superstars at the stove because they are developing radically modern dishes with local ingredients. 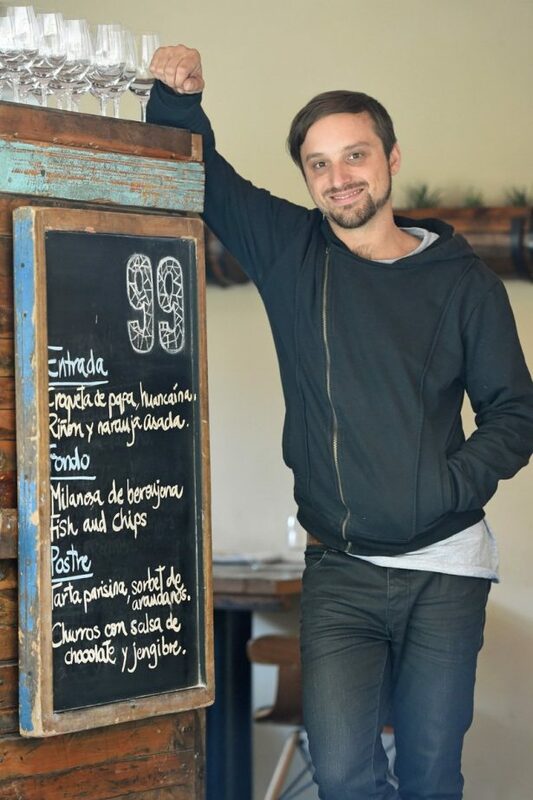 Rodolfo Guzmán of Santiago’s acclaimed Boragó gourmet restaurant explores the 4,000-kilometer coastline, mountains, Atacama Desert and humid cloud forest for rare ingredients for his artfully arranged menus. Whether sea strawberries or Cochayuyo algae, Patagonian lamb in ash crust or even ants – a wild aroma spectacle is guaranteed. 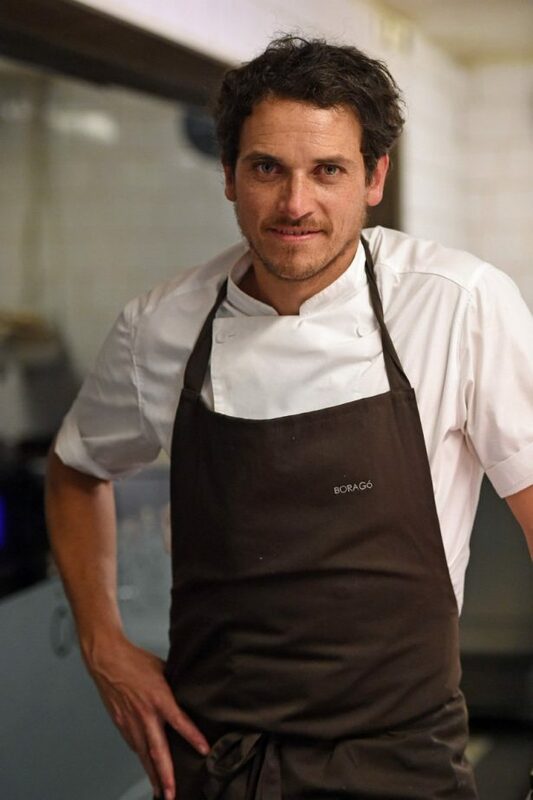 The German-born chef Kurt Schmidt from 99 Restaurante also provides a fresh breeze in the kitchen, in his case also at affordable prices. Even on the street corner, it is now difficult to reinvent the huge Sánguches, as they call sandwiches here. There is not only Chilean wine, but also various sorts of Pisco distilled from grape must. Who needs a break from the bustle of the city, goes to the coast: to the seaside resort of Viña del Mar or to the neighboring port city of Valparaíso which are just under a hundred kilometers distance. There you will find colorfully painted houses. 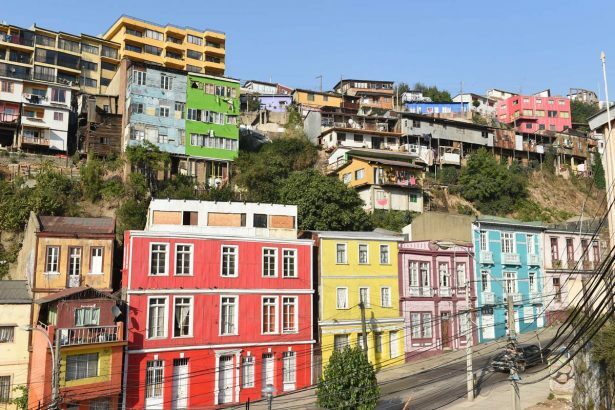 Valparaíso was South America’s most important port of the Pacific until the construction of the Panama Canal. After the successful circumnavigation of Cape Horn, merchant ships unloaded their goods here. The goods were stored as close to the water as possible. Those who could afford it lived on the steeply rising hills – these quarters offered better air and the view of the sea. Because climbing stairs was too cumbersome in the long run, a technical solution to overcome the height difference was found. Ascensores (lifts) are the historical means of transport in Chile, even if they are actually funicular railways. In the past there were more than 30 of them, today there are still 16. 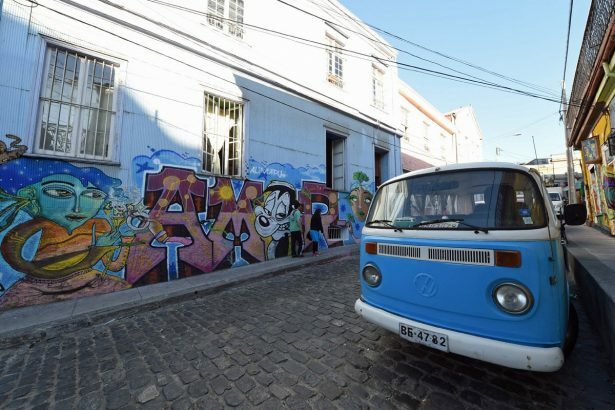 The lifts now bring hipsters from all over the world to the hills – living on the Cerros has become chic again after years of decline. 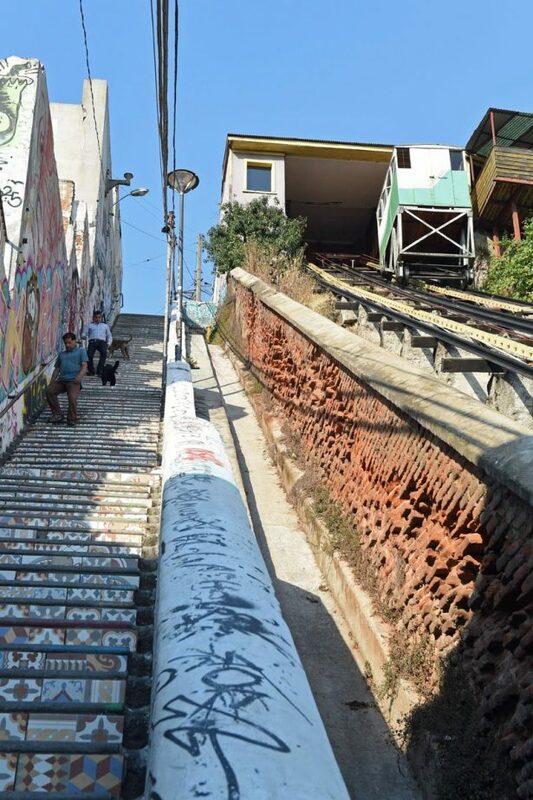 Valparaíso’s historic center is now a UNESCO World Heritage Site – and with it the funicular railways. They rattle and creak, clatter and drag. In the shaky cabins older passengers sit on benches the rest of the passengers are standing crowded. That is not very comfortable, but the ascensores work reliably for more than a hundred years. The most beautiful ride takes eighty seconds: 175 meters of rails conquer the 48 meters in altitude difference from the port up to the hill Artillería. The view from there: a dream. As so often in Chile.